Make Hair Drying in Your Salon a Quieter and More Peaceful Experience Again! Are you one of the many people that get easily annoyed by the amount of noise your hair dryer makes as you get ready for your day each morning or as you style hair in the salon? Well with today’s improved hair dryer technology it does not have to be that way anymore. There is no reason why you or your clients can’t regain your sanity again as far as hair dryer noise is concerned. Owning the quietest hair dryer is much easier than you think and there are lots of models out there in the beauty marketplace to choose from. In this article, I will take a look at six of the top quiet hair dryers that will help make drying your hair a more peaceful experience for you and those around you. I will even talk a little bit about how to find the perfect quiet hair dryer for your needs. 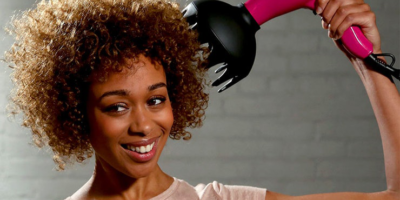 Are you a big fan of less noisy hair dryers and saving the environment? Then it does not get any better than this hair dryer from Parlux. Not only is it quiet but it’s made using a large amount of recycled plastics. 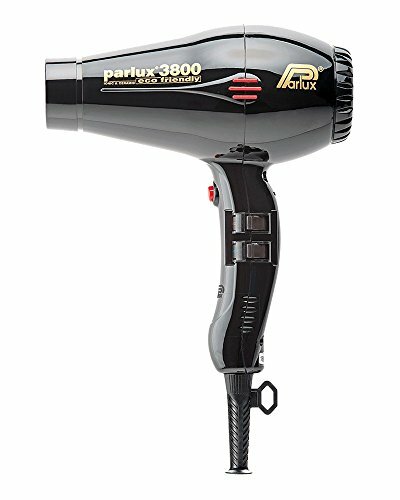 Not only is the Parlux hair dryer quiet at less than 80 decibels of noise when running but it also features 2100 watts of drying and styling power. When you add to those great features the fact it’s lightweight, uses even ceramic style heat and has 6 different heat/speed combinations, this is truly a very worthy salon quality hair drying product. 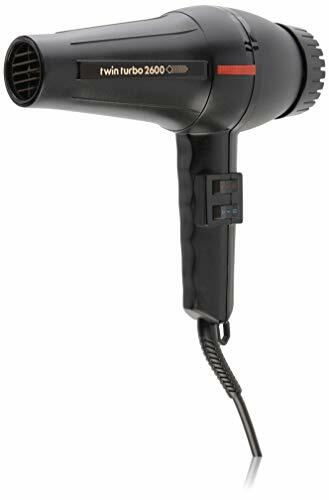 This nicely Italian made hair dryer from Turbo Power has some very innovative motor technology built into it to make it run much quieter than standard type hair dryers. It features a state of the art AC motor that averages less than 88 decibels of noise when it’s running. When you pair its low noise level with its 4-speed selections, 2 airflow settings and a 2100 watt motor you get a quiet running hair dryer that is not out of place in any modern styling salon. It’s even easy to use for hours on end thanks to its lightweight and easy to hold design. This hair dryer from Panasonic takes quiet running innovation to a whole new level. It emits only a very low noise level of less than 87 decibels when running and its Nanoe™ ionic technology helps make drying hair simple and fast. Nanoe™ ionic technology breaks down water molecules into smaller ones so they dry quicker. It also helps protect hair from getting too dried out during the blow drying process. 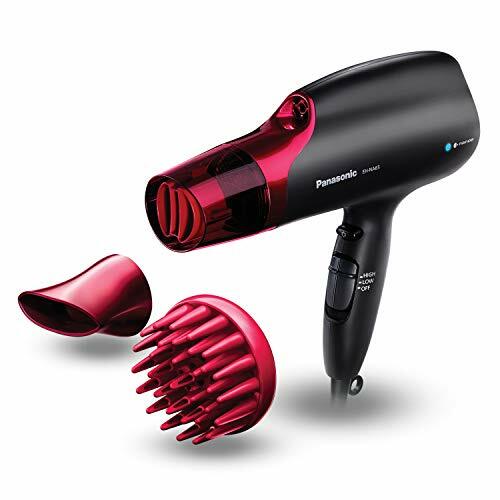 Add to that innovative technology the fact this Panasonic hair dryer has 1875 watts of drying power, 5 speed/heat settings and a nice dual flow air nozzle, and you can clearly see why it makes a great hair drying tool for both personal and salon use. 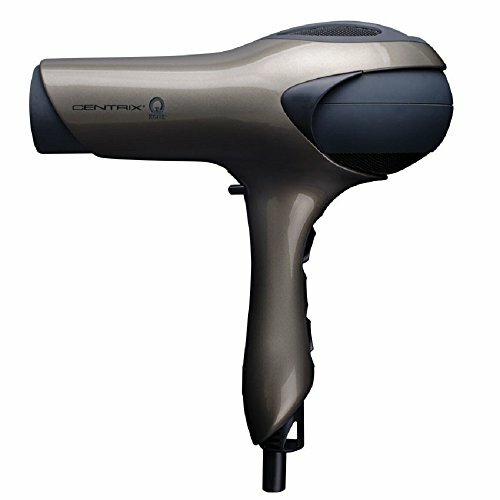 The name Centrix is a trusted one in salon circles and this quiet running hair dryer from them certainly does not disappoint. Its 75 decibels of noise when running make it one of the quietest hair dryers you will ever come across. That truly is music to your ears whether using it at home or in any professional hair salon. The nice features built into this lightweight and easy to handle hair dryer don’t stop there either. It has 1500 watts of drying power, 3 heat settings and an airflow that has been measured at 50 mph on high speed. Add to that its quick drying, gentle tourmaline/ionic technology and you have one very nice salon quality hair drying tool here. Here is yet another fine Italian made hair dryer from Turbo Power that made it onto our top review list thanks to its more than adequate quiet running technology. This professional hair dryer only emits an average of less than 87 decibels when running. That will definitely make any home bathroom or hair salon a much quieter place when it’s being used. Turbo Power also built several other nice features into this good hair drying product too. Examples of this are its generous 1700 watts of heating power, 2 airflow settings and 4 different heat selections to choose from. Its estimated 2000 hour motor life and nickel/chrome heater also help make this one fine salon quality hair dryer. This is one of the quietest hair dryers that is made. 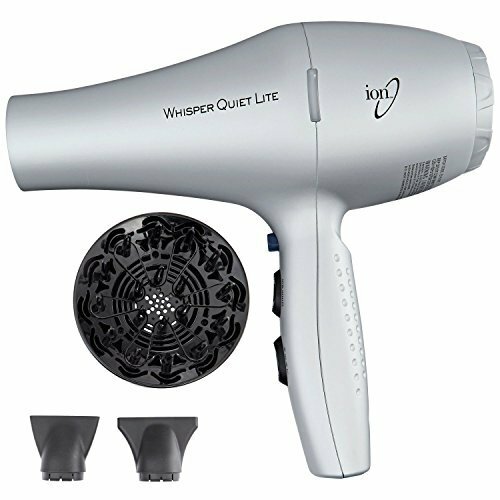 The Whisper Quiet Lite Hair Dryer emits only a very low 70 – 74 decibels when it’s running. That is a lot less than most standard hair dryers that give off 90 decibels of noise or more when operating. You can see how this would greatly quiet any salon working environment or make getting ready at home much more peaceful. The Whisper Quiet Lite Hair Dryer has some other very useful features for blow drying hair too. Among them are its 1875 watts of drying power, its six air flow and heat combinations and its built-in ceramic tourmaline ionic technology. The fact this salon quality hair dryer is also budget friendly makes it even more impressive. If you are like many hair dryer users you are probably wondering what decibel level of hair dryer noise is generally considered safe and acceptable in a salon or home environment. That is a somewhat tough question to answer because everyone’s noise sensitivity is somewhat different. Most standard hair dryers operate at 90 decibels of sound emissions. To put that into perspective a rock concert produces a noise level of around 120 decibels and normal speaking produces a noise level of around 60 decibels. 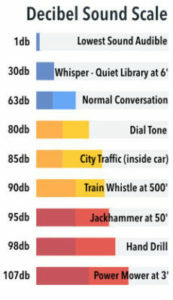 It’s also thought that prolonged exposure to 90 decibels of noise or above can cause hearing damage/loss. That means if you work in a hair salon and listen to several dryers running at once all day long it certainly could hurt your hearing. That makes a quiet running hair dryer the right choice for a salon environment more than just for hearing comfort reasons. So if you run a hair dryer often at home or you work in a salon you really want to keep the noise down on any hair dryer that you use. A decibel level under 90 decibels is thought to be acceptable in a salon environment but its preferred to run hair dryers that emit noise in the less than 80-decibel range. Of course, you already know that it’s a quieter hair dryer that you want. Also, as we discussed previously that hair dryer should emit less than 90 decibels of noise when it’s running and even more ideally less than 80 decibels of noise when it’s on. It stands to reason then that the lower the decibel level a hair dryer emits the more comfortable space it’s operated in will be and the safer it is for everyone that hears that hair dryer running. The only problem is, that quiet running hair dryer may be a result of the fact that it’s significantly underpowered for the hair drying task. This is a good reason you have to look at other things besides just the decibel level a hair dryer has when choosing a quiet running model that will work nicely for you. It will not do you any good at all if you have the quietest running hair dryer in the world if it does not produce enough heat to dry your hair quickly. So sometimes you have to sacrifice a little noise to get to the level of blow drying power that you need in your hair dryer. The number of watts a hair dryer has is usually a direct reflection of the intensity of the heat and that can come out of it. That means the higher the wattage the better that hair dryer product will blow air and push out heat in most cases. So make sure you know what the watts are on any hair dryer you are thinking about purchasing. This factor is not so important for the casual home hair dryer user but is ultra-important as far as salon professionals go. Your hair dryer may be quiet and powerful but it will tire your arms out if it is heavy too. Make sure you check the weight out on any quiet hair dryer you are thinking about buying. This is usually listed on the package or on the manufacturer’s website. Ergonomics play a big part in the quality of a quiet hair dryer for home or salon use too. Ideally, any hair dryer that you purchase will not only run quiet but will also have its buttons and switches located in a way you can fully control your new hair dryer with just a single hand. No two people’s hair is ever the same so you want a hair dryer that is versatile if it is shared or used in a salon environment. This literally means you need a hair dryer that has multiple heat settings and multiple airflow settings on it. That way you can tailor it by adjusting the settings to work perfectly on your type of hair or on one of your client’s specific hair type. This is great technology that produces heat that is very gentle on your hair. That is because hair dryers that heat up using ceramic coated parts heat the air that comes out of them very evenly. That means less areas of intense heat that can lead to hair damage. Hair dryers that use titanium coated heating parts are preferred by those that like to get their hair dryer warmed up and running in a hurry. This type of coating tends to make for hair dryers that heat up fast and get to work blow drying your hair in little or no time. This is another type of heating technology found in quiet running hair dryers that is great to help prevent damage to fine or thin hair. That is because far infrared heat will warm up the hair strands from the inside out. This causes hair to retain its moisture better and leave less split ends and frizz. Having a quiet running hair dryer with negative ion technology built into it is a great bonus. This is because negative ion technology offers several benefits to the strands of hair it is used on. For one, it breaks down large water molecules into smaller ones to help cut down on drying. It also is great to help prevent hair damage because it cuts down on the amount of heat it takes to dry you or someone else’s hair. This reduces such common hair damage as frizz and split ends. There are other features on a quiet hair dryer that make it nice to own. Things such as a cool shot button can really add to what you can do with any quiet running hair dryer. Features like removable lint filters and included attachments make a quiet running hair dryer a better deal also. If you are buying a hair dryer that has improved technology that helps quiet it then you are probably not getting a hair dryer that is considered to be disposable. That means you will want a good warranty to come with that hair dryer. Look for a quiet running hair dryer that has the longest and most inclusive warranty as possible. Communication is an important factor in any workplace and a hair salon is no different from that. If you have ever been in a salon where many standard hair dryer products are running at the same time you have noticed that normal conversational tones become barely audible. By using quieter hair drying products this noise level will be significantly reduced. This will promote better communication and in turn boost production in the salon because there is less noise to prohibit normal conversation. We have already talked about many hair dryers generating noise that is higher than the safe 90 decibels that your ear can handle on a regular basis. Quiet hair dryers will reduce the decibel level in a salon work area even further and in turn, it will protect you and other people’s delicate hearing much better. Many people strive these days to make the environment we live in as green as possible. There are all different types of pollution in the world and among the least recognized is noise pollution. In a busy beauty salon hair dryer noise certainly contributes greatly to that. 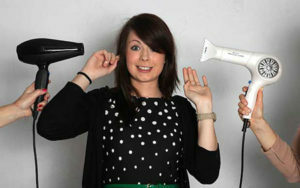 The use of less noisy hair dryers in a salon will help make that business a much greener work area. Let’s face it. You and your fellow salon employees are not the only ones that will benefit from a salon that is not as noisy because you are using quieter hair drying products. Your customers will enjoy coming to your salon much more. These days many hair salons provide other services such as massage, skin treatments and pedicures that promote overall wellness and beauty. A quieter salon certainly stays in line with an overall wellness concept. Question: What causes a hair dryer to be so noisy? Answer: A hair dryer is powered by an electric motor of course. Even a small electric motor is a complicated piece of equipment. You have many parts inside it that spin and also make slight contact with each other. It is all this mechanical and electromagnetic interaction which causes the harsh droning noise that comes out of your hair dryer. Question: Can a hair dryer potentially cause hearing loss or damage? Answer: The answer to this question is absolutely. Especially if it’s a hair dryer that produces well over a tolerable 90-decibel noise level. Any device such as a hair dryer that emits high decibel noise that you listen to for an extended period of time is very unhealthy for your ears. Question: Is there technology being developed that makes hair dryers quieter? Answer: Yes there is. You saw an example of that on are top review list. One of the products uses an AC driven motor that is thought to make hair dryers less noisy. Expect in the near future to see hair dryers that are very quiet but also remain powerful too. Question: can prolonged home use with a noisy hair dryer cause hearing damage? Answer: The answer here is yes. It’s along the same lines as the hair dryer noise experienced in salons. 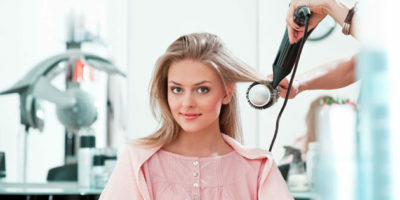 If the decibel level is high enough prolonged use of your hair dryer at home can create some of the same hearing problems that many beauty salon personnel experience. In this day and age, there is no reason why everybody can’t have a quiet hair dryer that’s still powerful and will dry your hair efficiently. Owning the quietest hair dryer can improve your ear health, enhance the quality of your work environment and even alleviate some stress for you too. 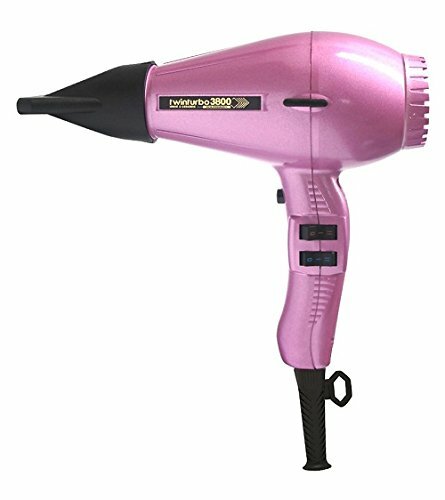 I introduced you to several powerful yet high-quality quiet hair dryer reviews in this article. Anyone of them would make a great addition to your useful salon tools. I also talked about what some of the key features are to focus on when buying a less noisy hair dryer. If you purchase one of the quiet hair dryers reviewed here or follow the buying advice in this article, you should have no problem finding a hair dryer that works great and is very easy on your ears.